We've added another quality yearling to our stable in this striking chestnut colt by exciting first season sire RICH ENUFF out of the family of ALLEZ FRANCE, who Chris had an association with during his riding career. He's got a beautiful walk on him, with plenty of strength and the way he is built, he'll have every chance to get up and running early. 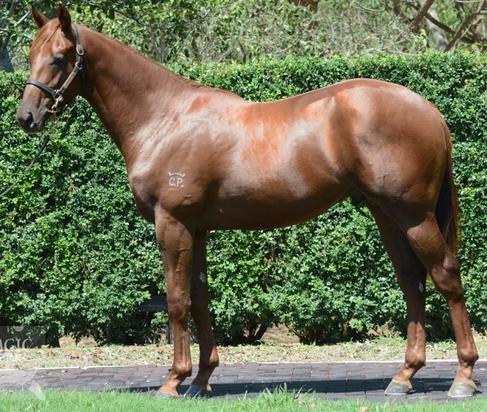 Purchased from the Magic Millions March QTIS yearling sale, he is eligible for the rich $10 Million Magic Millions raceday, the new $1.5M Aquis QTIS Jewel raceday as well as the rich QTIS bonuses on offer every week. Hello, I'd like to know more regarding the horse 'Rich Enuff X Dukemore' you have listed as available.